It appears that UK retailer Argos won’t be limiting the Jazwares made Sonic and Wisps action figure to pre-orders of either version of Sonic Colours. Argos is now listing the figure for pre-order on its website and its in-store catalogue for £14.99. 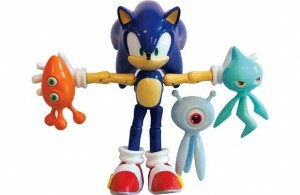 The figure available is the one seen in the Wii version of the Sonic Colours special edition listed in certain countries, which comes with the White, Cyan and Orange Wisps, leaving us to assume that the Blue, Yellow and Red Wisps are ultimately exclusive to the DS special edition figure bundle. With the figure holding a £14.99 price tag, we highly recommend you pre-order a copy of Sonic Colours Wii/DS at Argos and grab the figure for free, if you’re interested in purchasing both items of course. Elsewhere, Australia is getting another pre-order bonus on top of the one already offered there at EBGames, where you can get a free Sonic hat with pre-orders. Instead of a hat, JB Hi-Fi are giving away a blue Sonic Colours themed Classic Controller when you pre-order the game. Both retailers are stocking the special edition of the game with the Sonic and Wisps figure too. Finally, a Jazwares made Big the Cat & Froggy action figure set has appeared for sale across online marketplace eBay and should be hitting retailers such as Toys R Us soon, if not already. 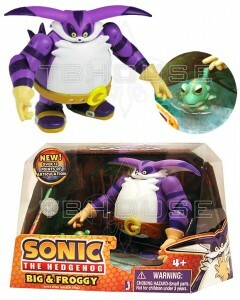 Being offered is the BIG THE CAT & FROGGY figures from the SONIC THE HEDGEHOG series by Jazwares. The detailed, massive BIG figure stands about 4 inches tall and FEATURES OVER 12 POINTS OF ARTICULATION… while FROGGY measures about 2.25 inches tall. Unopened in factory sealed packaging. Officially licensed product. 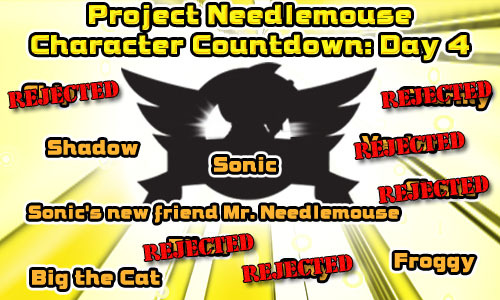 Will you be grabbing any of these? Let us know in the comments.